Become a web developer and get AWS certified! Join our 200,000+ ⭐⭐⭐⭐⭐ students! We at Coursenvy have paid thousands of dollars for degrees, conferences, webinars, seminars, online courses, and more, over the past decade to become MASTERS in our fields and businesses! Paired with our hands-on experience (our client list of 500+ businesses) from managing everything from Facebook ads, to Shopify stores, to Etsy shops, to Google/YouTube ads, to SEO, to Amazon FBA, to Social Media Marketing PPC, and more... our students consider us the leading online course provider, averaging 4.5/5.0 stars on over 200,000 student reviews! Also included in this bundle is our top-rated Amazon FBA course! This AMAZON MASTERY COURSE has not only created multiple Amazon FBA millionaires, but it has also allowed 1,000's of students the chance to get out of debt, quit their jobs, take a vacation, put their kids through college, and so much more! (check out a sample lecture from the Amazon course below)! "By far the best direct and to-the-point information available for the money and lots of it. I'm extremely impressed. I personally love when there's too much info for my brain to keep up because that means I got a lot for my money." "I would definitely recommend this course if you are starting out to learn about Social Media Marketing. It was super helpful and opened my eyes to a lot of things I didn't know was available as marketing tools." 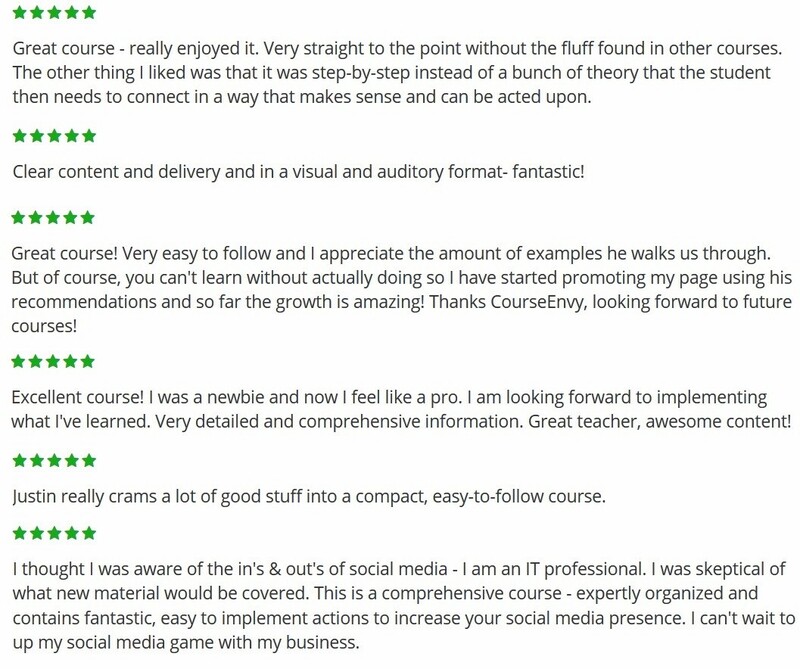 "I am knowledgeable with most of the features of FB Ads and I was skeptical about what a $10 course could add, but it delivered! A lot of the material is basic info for someone that has never done anything on Facebook, which was good refresher. I am about half way through the course and I have picked up some "golden nuggets" that are very valuable. Course value is worth much more than $10 bucks! I will purchase more from Course Envy!" JOIN OVER 200,000 STUDENTS IN THE TOP RATED ONLINE COURSES! GAIN ACCESS TO ALL THESE COURSES! THIS BUNDLE IS ON SALE FOR A LIMITED TIME! WE ARE THE NETFLIX OF TOP-RATED ONLINE COURSES! CANCEL WHEN YOU WANT! DID WE MENTION WE ARE A TOP-RATED DIGITAL MARKETING AGENCY WITH OVER 500 HAPPY CLIENTS SINCE 2008? This client used the knowledge he gained in our courses to launch an Amazon, Etsy, and eCommerce website. After some success his first year, he hired our agency for ALL 3 services (typically clients only want one service, but he was ready to go all in)… Google Ads, Facebook Ads, and Amazon PPC to promote his physical product brand and retarget audiences. As you can see below, the results speak for themselves! Yea... we helped grow their income to $17,732.70 per month! We lowered this clients average cost per sale by 31% in a month and increased their weekly sales by over $1400 with our Amazon PPC optimization strategies! 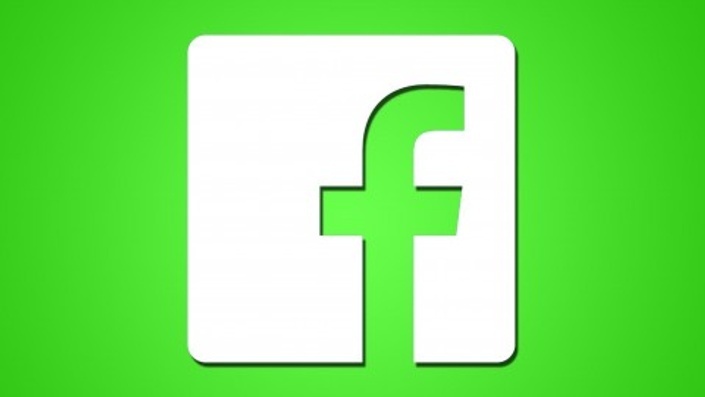 We were one of the first ad agencies marketing on Facebook! We love this platform for targeting HIGH INTENT users searching your exact product, service, and/or location! Let us create and optimize your Google Ads for the lowest cost per conversion! Just look! We practice what we preach, converting students for just $5 each via highly targeted and optimized search, display, and remarketing campaigns in Google Ads! We have worked with EVERY type of business and can customize our plans to fit your style! After enrolling, you have unlimited access to this course for as long as you are a paying subscriber. All subscribers get access to our EXCLUSIVE course updates, private insider knowledge email newsletters, and access to our online courses across any and all devices you own! What if I am unhappy with the course? 30-DAY MONEY BACK GUARANTEE! We would never want you to be unhappy! If you are unsatisfied with your purchase, contact us in the first 30 days. We want you to be satisfied with your purchase but we also want you to give your best effort to apply all of the strategies in the course. We offer a 30-day refund period for course purchases (no refunds for ad management services). In order to qualify for a course refund, you must submit proof that you did the work in the course and it did not work for you. In the event that you decide your purchase was not the right decision, within 30 days of enrollment, contact our support team at info@coursenvy.com and let us know you’d like a refund. In the email, you must include your coursework with your request for a refund. If you request a refund and do not include your coursework by the 30th day, you will not be granted a refund. The coursework that you need to submit with your request for a refund includes ALL of the following items: Requirement 1: Complete and attach proof of work (i.e. Facebook Ads Manager screenshots with your email, screenshots of MailChimp/email provider, etc.) Requirement 2: Complete and attach three screenshots of emails/implementation that would further your online business (i.e. emails with potential marketing clients, screenshots of failed Facebook ads, etc.) Requirement 3: Tell us why our course wasn't a good fit for you and your business needs. What did you expect that you did not receive once inside our course? TAKE ONE OF OUR FREE COURSES!